News in Youth Services: Wondering Which Preschool is Right for Your Family? 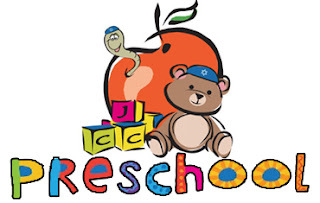 Wondering Which Preschool is Right for Your Family? Joins us on Monday, January 29 at the Roselle Public Library, where we are hosting a Preschool Showcase from 7:00-8:00 PM! This open house will feature representatives from local preschools to answer any questions you may have about enrolling your children in preschool. This is a drop-in event, so no sign-up is necessary! Parents and children are all welcome: we will have informational tables for the adults and Miss Liz will be running a drop-in storytime for children! We will also have a library table with information about the Library's early children programs (like 1,000 Books Before Kindergarten!) and other fun things you can do with your library card. If you can't make it to the Showcase, or if you just want a quick guide to some of the preschools in the area, click here to find a downloadable information packet! Interested parents: we'll see you on Monday night for our Showcase! !